After a longer break than usual, Bob Odenkirk is finally back for another series of Better Call Saul on Netflix. The last series ended with a cliffhanger after Chuck, having sworn off contact with his brother Jimmy, began to suffer from EHS symptoms again. Isolated in his home, Chuck kicked a gas lamp over, trapping himself inside his own home as it burned. Better Call Saul has received critical acclaim since it first arrived on AMC in the US in 2015. 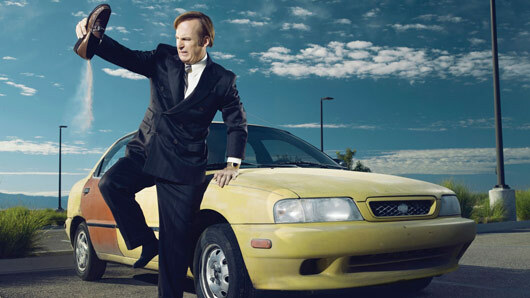 The series, envisioned as a lighter prequel to global hit Breaking Bad, stars Bob Odenkirk as a younger version of his immoral lawyer Saul Goodman. Known as Jimmy McGill in the show, Better Call Saul explains the story of how public defender Jimmy became embroiled in the world of criminal law. Better Call Saul season four is available on Netflix now. 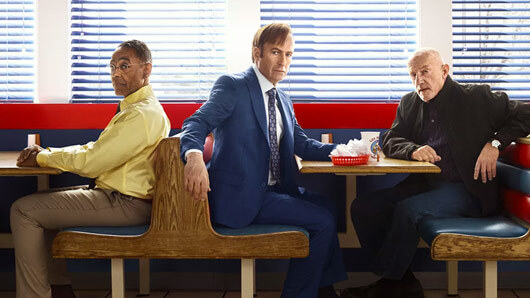 Fans will be pleased to hear AMC has renewed the massively popular Better Call Saul for a fourth season. The Breaking Bad prequel will return for another 10 episodes in 2018, meaning we get to enjoy following the stories of our favourite characters Jimmy McGill (Bob Odenkirk), Mike Ehrmantraut (Jonathan Banks) and Gus Fring (Giancarlo Esposito) for another year yet. Better Call Saul season three landed on Netflix during April of this year and was met with excellent reviews from critics and fans alike. So it’s no wonder AMC wasted no time in renewing the show for a fourth instalment! “Supporting artists we respect and admire; delivering truly outstanding character development and nuanced dramatic twists and turns; continuing a legacy of bold creative choices; loving writing that is the best in the business: Truly, ‘S’all good, man'” said Charlie Collier, president of AMC, SundanceTV and AMC Studios. Better Call Saul seasons 1-3 are available to view now on Netflix. Walter White actor Bryan Cranston could be getting involved with the Better Call Saul series, Bob Odenkirk has revealed. Rumours about potential Breaking Bad character returns have been ongoing ever since Better Call Saul began in 2015. We’ve already seen a couple of our old favourites appear in the spinoff, including Mike Ehrmantraut and Tuco, as well as Saul himself of course. The ultimate cameo would obviously be the one and only Heisenberg, and apparently Cranston may actually get involved with the series. However, unfortunately for us, this would probably be behind the camera. 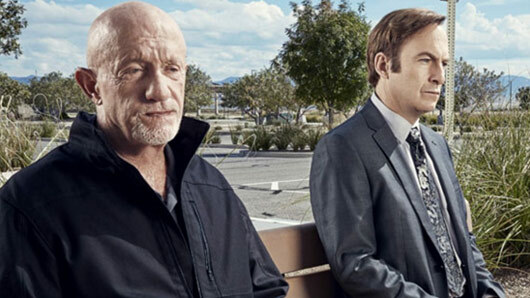 According to Jimmy McGill actor Odenkirk, Cranston could help direct an episode at some point in the future. When asked if he keeps in contact with his old co-star, the star told ShortList: “We don’t text all the time or hang out in bars, but I see him occasionally. So we can probably rule out a Walt appearance in season three, but we won’t be giving up hope on a brief cameo entirely. Especially since Odenkirk revealed how “the plan is to bring [McGill/Goodman] to where we met him in Breaking Bad“. One comeback we can guarantee, however, is that of Gus Fring. Actor Giancarlo Esposito first confirmed he would be appearing in the Breaking Bad prequel in January, when he tweeted “I’m back!” alongside a teaser of the villain putting on his charming businessman persona. Additionally, a new trailer landed in March in which season footage of the character was finally unveiled. 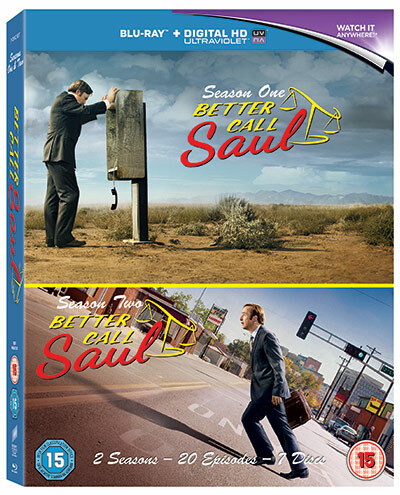 Better Call Saul returns to AMC in the US on April 10 and will be available on Netflix in the UK on April 11. Drug kingpin Gus Fring is back in a new trailer for Better Call Saul‘s upcoming third season. 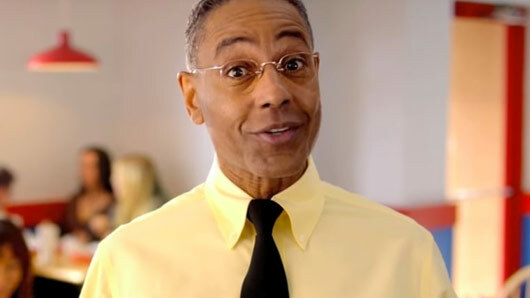 Actor Giancarlo Esposito first confirmed he would be appearing in the Breaking Bad prequel in January, when he tweeted “I’m back!” alongside a teaser of Gus in character as a charming local businessman. Breaking Bad fans will know, however, that beyond the charismatic facade lies a truly unsavoury character. The new trailer is the first to reveal footage of the character as he will appear during the season, and he’s just as quietly menacing (now we know his secret) as ever. Elsewhere, Chuck is back on the scene threatening brother Jimmy, while Jimmy declares “you destroyed our family”. Jimmy joins Mike on some sort of illegal mission and Kim puts up with a bad Jimmy joke. It sounds like things are hotting up in Albuquerque! Better Call Saul returns to AMC in the US on April 10. It is expected to be available on Netflix in the UK within a few hours of US broadcast. Breaking Bad‘s Gus Fring is back! Giancarlo Esposito’s restaurant-owning drug lord is back in a new teaser for the upcoming third season of Breaking Bad spin-off Better Call Saul. In the teaser, which takes the form of a promotion for Fring’s restaurant chain Los Pollos Hermanos, Fring appears to personally promise a money-back guarantee if patrons don’t like their food. Fans speculated the Breaking Bad baddie would appear in Better Call Saul after they discovered the first letter all of last season’s episodes combined to spell ‘FRINGSBACK’. The legendary Gus Fring was a significant character in Breaking Bad‘s third and fourth seasons, where he employed Walter White (and later Jesse Pinkman) to work in his meth producing operation. He was a ruthless drug lord who masqueraded behind the facade of a likeable and generous local business owner. As fans of the series will know, Gus had links to criminal lawyer Saul Goodman – the protagonist of Better Call Saul – prior to his appearance in Breaking Bad. We can’t wait to find out how the pair first met! Viewers have already seen glimpses of Jimmy McGill working in this gloomy shopping Cinnabon in earlier series, as many episodes began with future flashes of where Jimmy ends up. Seasons 1 and 2 of Better Call Saul have focused predominantly on Jimmy’s life before the events of Breaking Bad, as we watch the character negotiate the early days of his law career, well before he became known as the infamous, sleazy lawyer Saul Goodman. However, it would seem the third season will provide fans with more of an insight into Jimmy’s life after he goes on the run at the end of Breaking Bad. “We’re fascinated by that black-and white world that Jimmy / Saul moves into, when he becomes Gene the Cinnabon manager. And with this shift forward in time seeming so probable, fans of the franchise have been keeping their fingers crossed for the return of some old Breaking Bad favourites in this season. 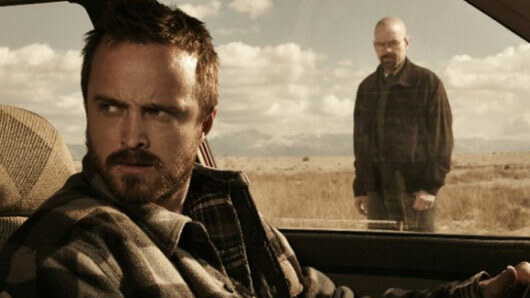 Producers have refused to rule out appearances from the likes of Jesse Pinkman or Walter White, and there have been some even more exciting hints about a comeback from the legendary and villainous Gus Fring. Better Call Saul will return next year to Netflix. Is Breaking Bad’s Gus Fring going to be in season 3 of Better Call Saul? It’s looking as though the legendary Breaking Bad villain could be making a comeback to our screens as showrunner Peter Gould admits “it’s a good possibility Fring’s gonna play a role in season three”. Sure, Heisenberg’s badass and all, but Gustavo ‘Gus’ Fring was always the true force to be reckoned with on Breaking Bad. His cold calculation and unsuspecting appearance were what made Gus a truly unique villain and, you gotta admit, his death in season 4 has to go down as one of the most iconic moments of the entire series. And now it seems as though we may get to see the return of his character in the next series of Better Call Saul! Breaking Bad fans seemingly exposed the villain’s big comeback when they spotted a secret coded message in the second series of Better Call Saul. The first letter of each episode title in the latest series spelt out F-R-I-N-G-S-B-A-C-K… Does this mean what we think it means? When asked about the potential appearance, Better Call Saul‘s co-showrunner Peter Gould told Digital Spy: “It’s a good possibility Fring’s gonna play a role in season three”. Gould admitted that he would “love to” work with Giancarlo Esposito again, the actor who played Gus in the show. 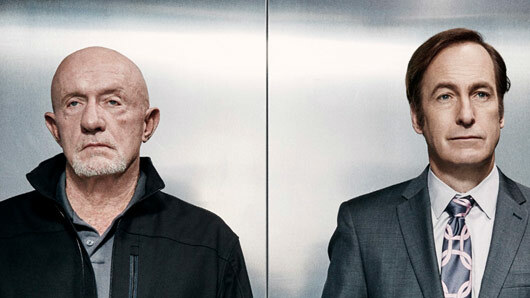 Alongside Saul, Mike Ehrmantraut is another focal character in the spin off series and so it would make sense to include some backstory on how Mike became Gus’ right-hand man. 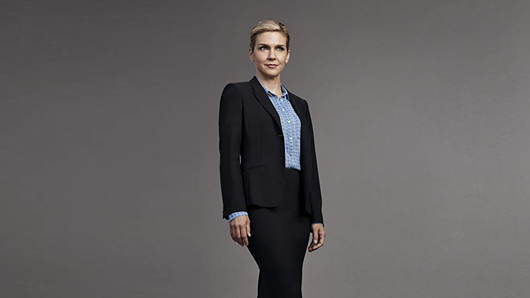 Gould also warned fans that it would be pointless to search for similar clues in the episode titles of the next season of Better Call Saul:”I don’t know if we’re going to try and fool anybody again!